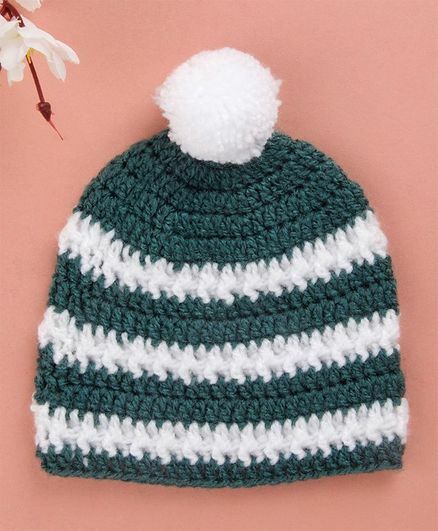 Buttercup from KnittingNani presents this woolen cap which is a cosy choice for your baby this season. The cap features striped design. The cap has been crafted from soft and warm fabric. The cap will help keep your little one comfortable during outings. Look no further for the perfect woolen garments and accessories for your precious little one. Each piece in this collection is meticulously handcrafted with soft and durable wool to create exquisite and practical items which are unique and special. Just like your little one is!